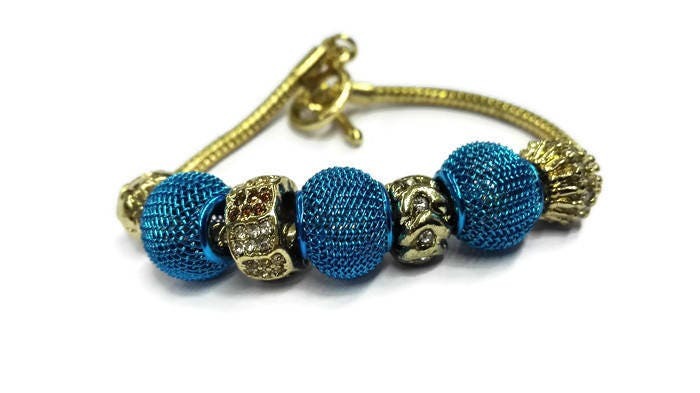 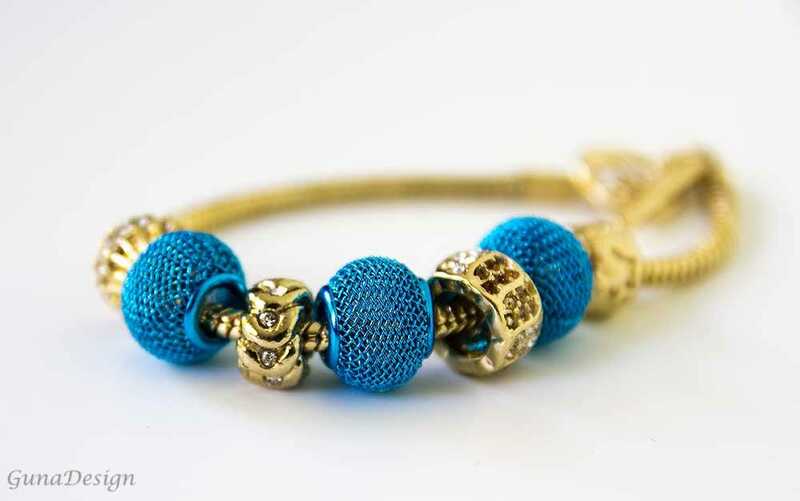 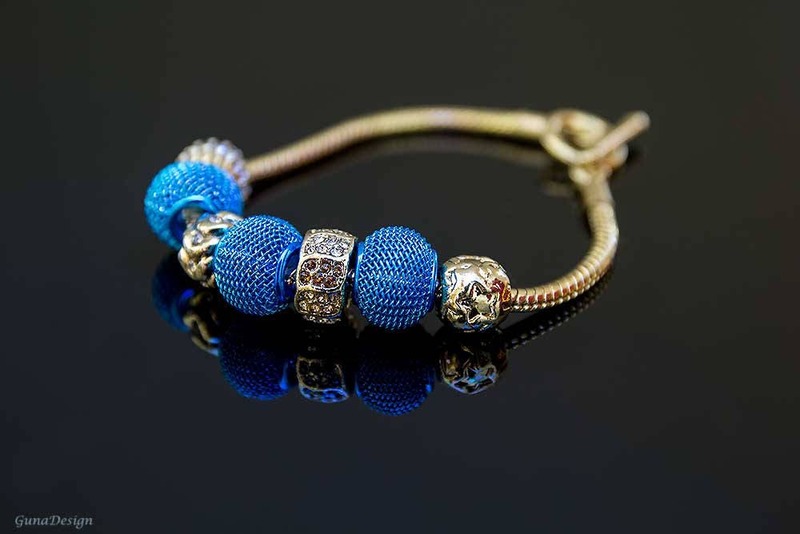 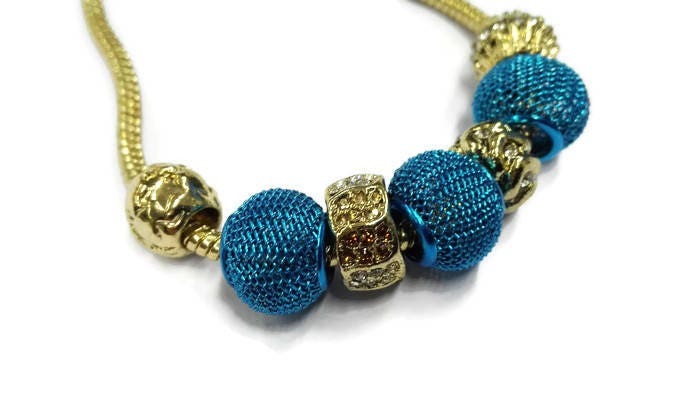 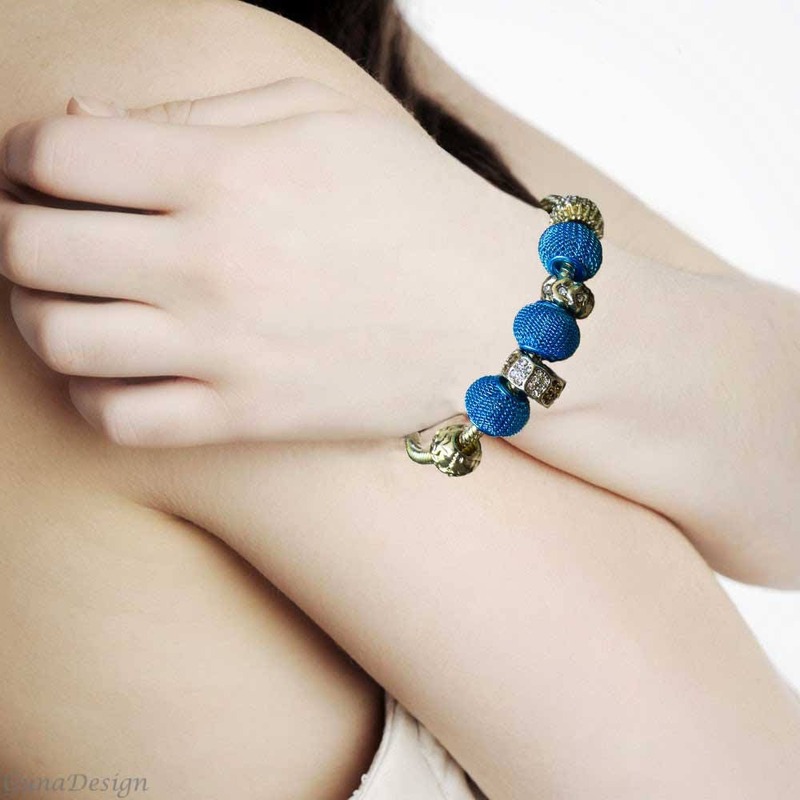 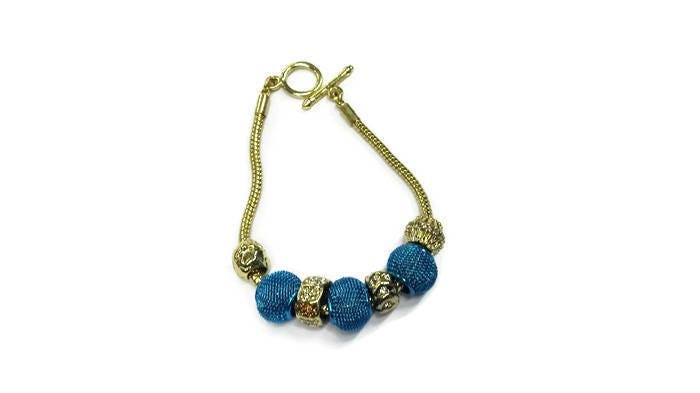 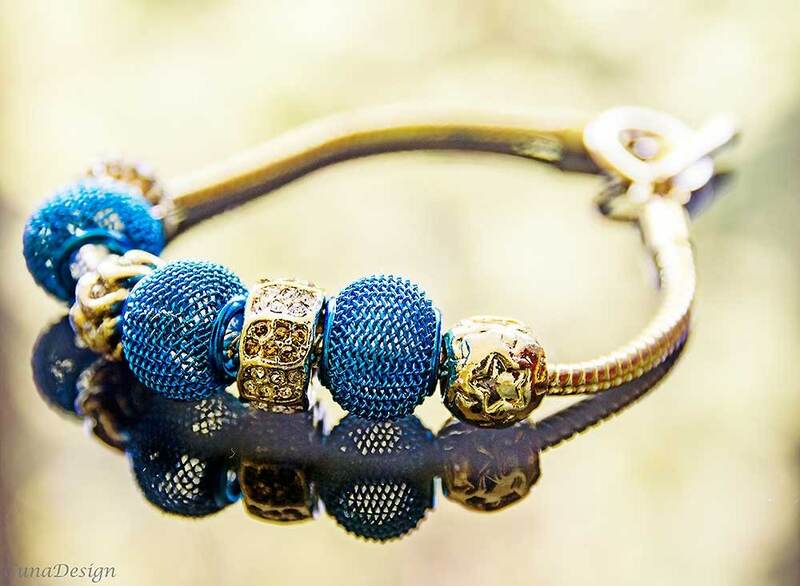 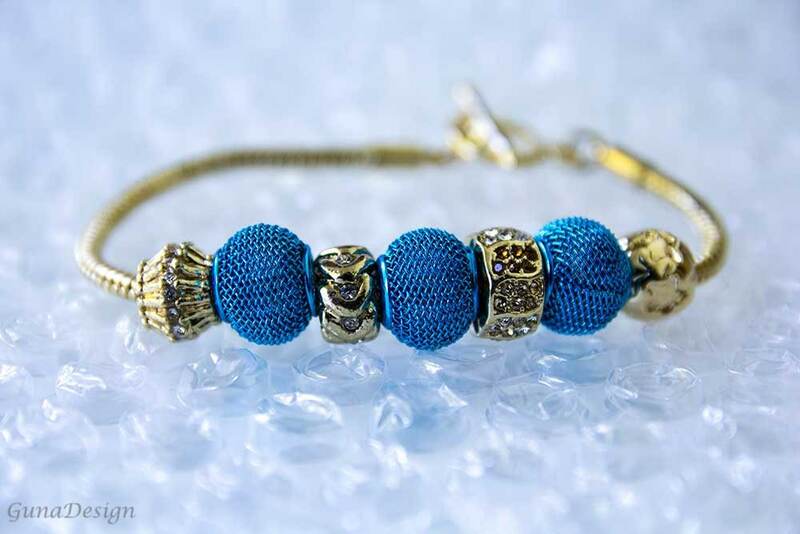 This European style bracelet is made from nickel free golden color metal snake type chain and blue metal mesh and golden color metal large hole beads. 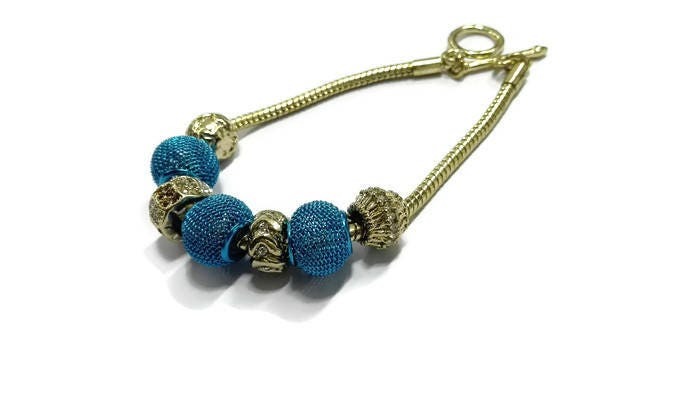 The closing - lobster claw clasp. 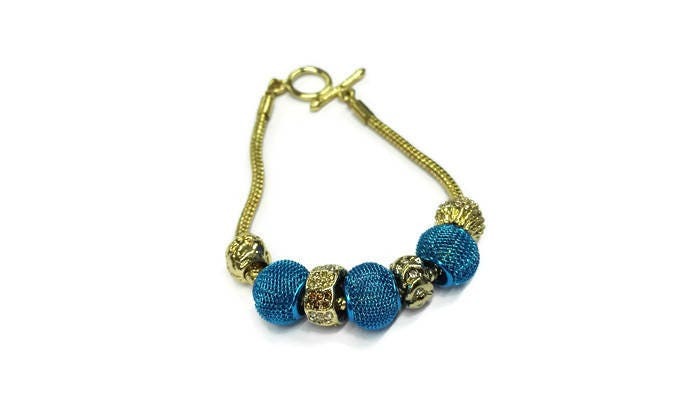 Size around 18 cm (7.09 inches), but it can be prolonged by using the chain fixed at the end of the bracelet.